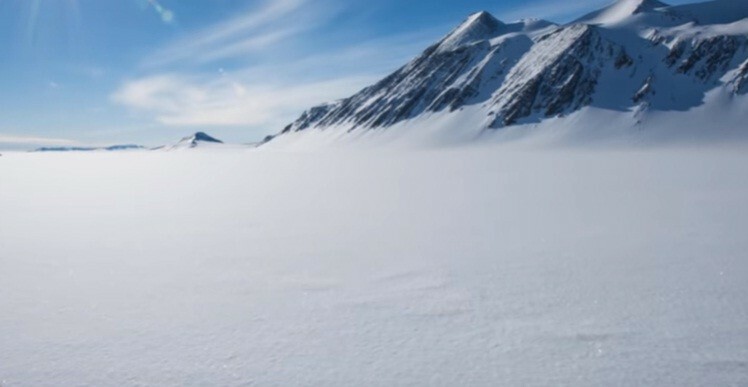 A new study report published in the journal Scientific Reports has revealed the discovery of a strange heat anomaly under the gigantic ice sheets in Antarctica. During the research, scientists found that an area that's twice the size of Greater London is missing owing to the unexpected melting. The study team revealed that the heat anomaly could be the result of unusually radioactive rocks, and hot water coming from deep under the ground. "The process of melting we observe has probably been going on for thousands or maybe even millions of years and isn't directly contributing to ice sheet change. However, in the future the extra water at the ice sheet bed may make this region more sensitive to external factors such as climate change," said Tom Jordan, a researcher who works with British Antarctic Survey (BAS), and the lead author of the study in a recent statement. Following the discovery of heat anomaly, popular conspiracy theorist Tyler Glockner who runs the YouTube channel 'Secureteam10' put forward his thoughts in a recently uploaded video. "Is there an unnatural reason for this melting? One thing is clear, Antarctica holds a lot of secrets buried under the surface," said Glockner in the video. Glockner argued that there might be long-lost continents buried under the ice of Antarctica and might be various civilizations lived in the polar regions during ancient times. The video uploaded by Tyler Glockner soon went viral, and it has already racked up more than 94,000 views on YouTube. Some of the viewers who watched the video suggested that advanced alien civilizations might be secretly living underground in Antarctica. These alien buffs also added that governments all across the world are aware of their existence, and their existence is compelling authorities to build military bases in the polar regions. A section of other viewers suggested that there are lots of volcanic activities going on under Antarctican ice sheets. "Giant volcanoes lurk beneath the Antarctic ice - it sure appears volcanic activity is on the rise all over our planet. No reason Antarctica should be any different. I think this is yet another symptom of a much bigger phenomenon," commented David Williams, a YouTube user. "So many UFO activities in 2018 and apocalypse thing happening around the globe, I wonder if it is connected," commented Vikinger Icelandersson, another YouTuber. A few days back, NASA had located multiple heat anomalies in the Atlantic ocean. As the news surfaced online, conspiracy theorists claimed that the heat anomalies could be the result of either alien presence or volcanic activities.